Effortlessly replace damaged product and exchange pallets. The Liberty Inverter is a fast, safe, economical way to rotate pallet loads. 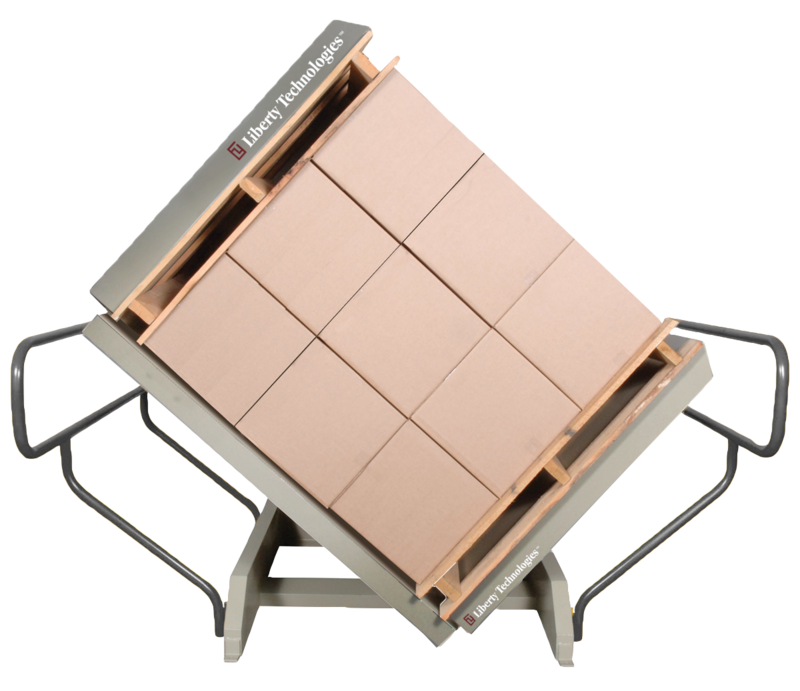 The pallet inverted improves worker safety by reducing the effort and time to manually unstack and restack loads to replace broken pallets or damaged product and simplifies the exchange of shipping and in‐house pallets or transfer from pallets to slip sheets by rotating the load up to 180 degrees.